Colorful costumes and bright lights hit the Wenatchee High School stage for a brief preview of the winter musical, How To Succeed In Business Without Really Trying, presented to WHS students on Nov. 29. 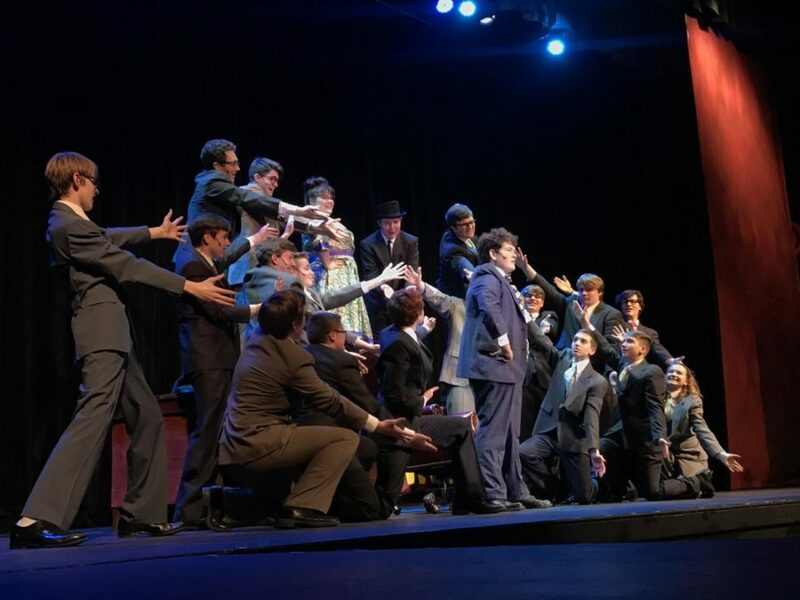 “How To Succeed in Business Without Really Trying” tells the story of senior Mason Atwood’s character, J. Pierrepont Finch, who finds a book containing tricks for succeeding in business without putting in real effort and climbs the corporate ladder. The 30-minute assembly took place during third period and featured four of the musical’s scenes, each with a song and dance routine. 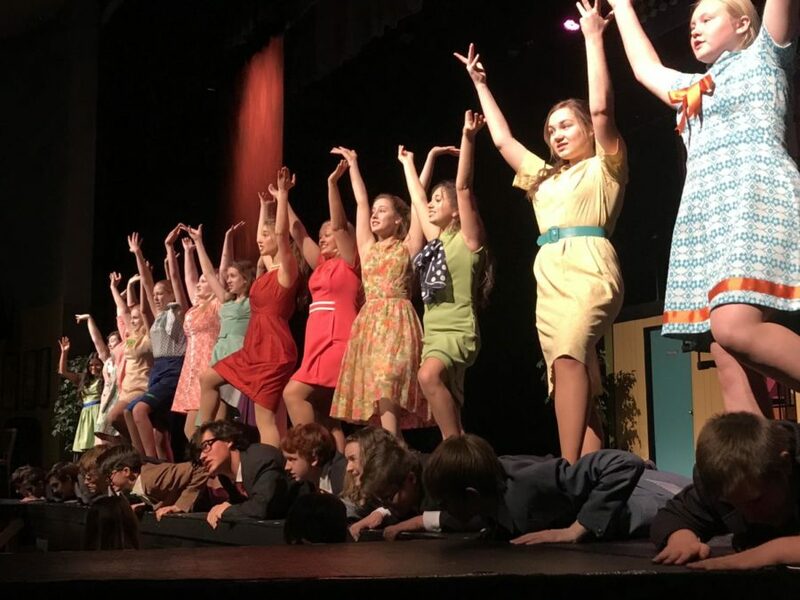 Select songs from the play including “Coffee Break”, “A Secretary is Not a Toy” and “Brotherhood of Man” were performed by the cast and jazz band. Teachers were given the option to take their class to one of two presentations in order for students to get a sneak peek of the musical. Director Paul Atwood also spoke to the audience between scenes to promote the show in its closing weekend, Nov. 29 – Dec. 1.